The purpose of this study was to examine the factors that make for`successful aging'. 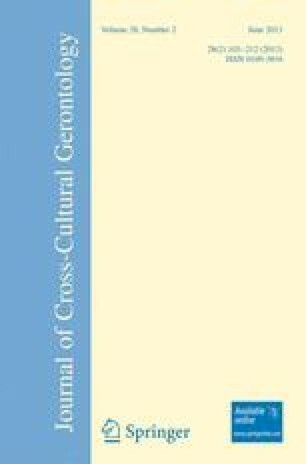 In particular, we examined the relationship betweenthe degree of religious or traditional observance on overall lifesatisfaction, health, function, and activity of an elderly population.The subjects chosen were aged from 68 to 75 and were divided into twogroups: 37 percent were traditionally observant (`traditional') and 67percent religiously observant (`religious'). Overall thesociodemographic features of both groups were similar. The results ofthe study did show, however, that the most significant factors ininfluencing the subjects' life satisfaction were religiosityand functional adequacy. Our conclusions from these findingsindicate that the religious observant elderly person, who is religiouslyactive, retains a social status that earns him respect because of thisactivity. This status even provides him with a source of power in hissocial group, as a result of which he functions more effectively and ismore satisfied with life.